All Blacks coach Steve Hansen has played down his team’s friendly relationship with South Africa’s Springboks ahead of their Rugby World Cup Semi-final. Earlier this week Springbok coach Heyneke Meyer went to great lengths to explain how Hansen has become a close friend and how they share a beer after matches. Howvever Hansen says that the reality is they want to “rip our heads off,” Hansen said before adding that the All Blacks biggest motivator was fear of losing. 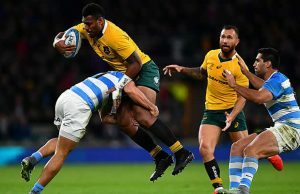 New Zealand and South Africa, two of rugby’s fiercest rivals, face each other Saturday with Australia against Argentina in the second semi-final on Sunday. The buildup had seen a flow of compliments between the All Blacks and Springboks camps, talking of respect both on an off the field. But Hansen put a stop to the pleasantries when naming his semi-final side on Thursday – with the only change being Joe Moody replacing injured loosehead prop Wyatt Crockett – saying it was time to see the game for what it really is. “A cunning wee devil is Heineken”, Hansen said, using his nickname for Meyer. “He’s been praising us all week. Whilst I know he means some of it, at the same time I know they’re getting ready to rip our heads off and we need to be in that same state. The All Blacks entered the semi-finals with a 62-23, nine-try thrashing of France. South Africa had a much tougher time, needing a late try to beat Wales 23-19. 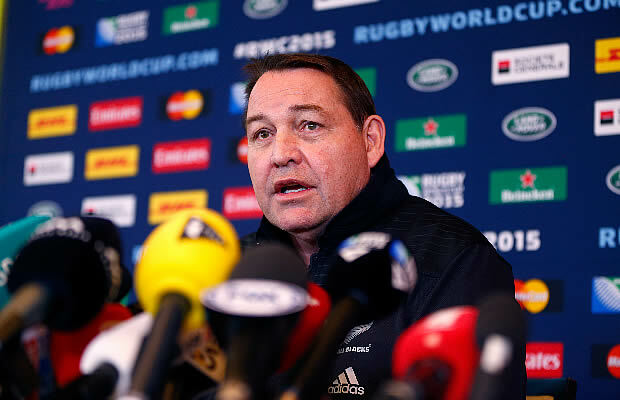 Despite the lop-sided nature of the All Blacks win, Hansen claimed his side were still not at their peak. 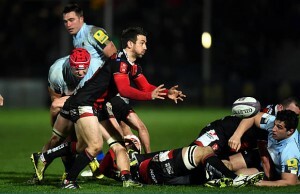 “I don’t think we’ve played our best rugby. We went through the pool stages and (the media) were telling us we were struggling, which I really appreciated because it kept us on edge and then we played really well,” he said. “There were a number of reasons why we did. A, because it’s life-or-death, you either win or you go home. Hansen said the fear of not making the finals was a reality within the All Blacks camp and it was something to be respected. “It’s a stupid man that doesn’t fear. If you go into a fight and you don’t fear the guy your fighting then you’re either fighting the wrong bloke or your stupid,” he said.